There’s nothing worse than that sinking feeling you get after you send someone a text by mistake. We’ve ruined surprise parties and we’ve sent a gossip text to the person we’re gossiping about. It happens! But thankfully, we’ve never sent our mom a sexual photo of our significant other…like this guy did. The internet is freaking out over a photo Maison Vallance recently sent to his mother. 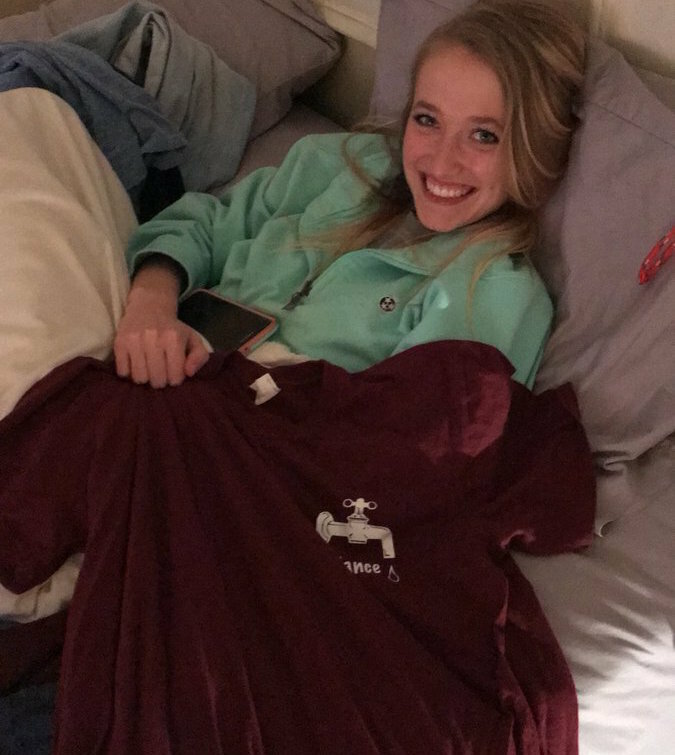 The photo, which he also shared on Twitter, shows his girlfriend Meghan holding a shirt that Vallance’s mother gave him. Mom asked Vallance to prove that the shirt was still around by sending a photo. So being a good son, he did just that. According to Bustle, Vallance’s mom had just recently met Meghan for the first time, so Vallance thought it would be cute to have Meghan show off the shirt Vanna White-style in the pic. Meghan, who was in bed at the time, looked happy to help. "I took this picture to let my Momma know I found the shirt she got me, but Meghan is too pretty not to post It," Vallance tweeted on November 19th. But lo and behold, what could have been an innocent, sweet photo, actually contains something that no mother should ever see. Do you see it? We’ll give you a clue — check the headboard. Unfortunately, Vallance didn’t notice those bright red ropes in the background until the photo was already on its way to mom. And, of course, the crowd went wild. She complained that the color doesnt match the bed sheets and they're over used, he should probably get new ones. Tell her it's a clothesline for air-drying delicates? Luckily, Vallance’s mom is a classic mom and didn’t bother to open the picture once it was delivered. Phew! Even though mom isn’t aware of the bullet she just dodged, Bustle reports that Vallance plans on telling her. They supposedly have a great relationship and Vallance thinks telling her will be funny. Even though this story has a happy ending, let this be a lesson for us all — check before you text.